This Libbey 15646 is part of the casual coolers series. With unique waves pattern adorning the glass, this piece is a good addition to casual eateries and bars, especially those with a coastal theme. The glass's 20-oz. capacity makes it ideal for serving water, soft drinks, and even generous portions of beer. The Libbey 15646 casual cooler has been treated with the DuraTuff® heat treatment process that fortifies the upper portion of the glass to strengthen it against mechanical and thermal shock, giving this glass a long service life. Overall Dimensions: 63⁄4 in. H x 35⁄8 in. top dia. x 21⁄2 in. bottom dia. x 3 5⁄8 in. max dia. "I use it in my home"
"I had been looking for a heavy duty larger glass for water,tea, soda and beer. These fit the bill and found them while having dinner @ our local..."
"These are the water glasses used at our local Outback. They're heavy duty, which a restaurant needs, yet beautiful modern design. 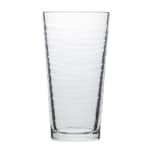 The 20 ounce ca..."
"I had been looking for a heavy duty larger glass for water,tea, soda and beer. These fit the bill and found them while having dinner @ our local Tilted Kilt came home ordered that night. These are comparable to the Longaberger weave glasses before the discontinued them." "These are the water glasses used at our local Outback. They're heavy duty, which a restaurant needs, yet beautiful modern design. The 20 ounce capacity is great for 16 oz. drinks. Made in USA which we like too. Over many years, these are our favorites. KaTom's prices, service and excellent, secure packing are winners too." My husband loves these glasses. "Heavy but able to hold easily with the wave design which helps prevent slipping. The 20 ounce size is good for water, sodas and tea. The same glasses used in local restaurants." "I have looked all over for 20 oz easy grip glasses and I went to outback steak house and saw these. I did a Google search and found them on your website. I ordered right away and they came within a week. Very happy with them and your company." "Really like these glasses. We were dining at Outback . My wife liked the glass she was drinking from. Asked the manager if it was possible to buy one. He ended up giving us 2 at no charge. I bought her a case from Katom for Christmas." Used the glasses in a resturant and loved them. 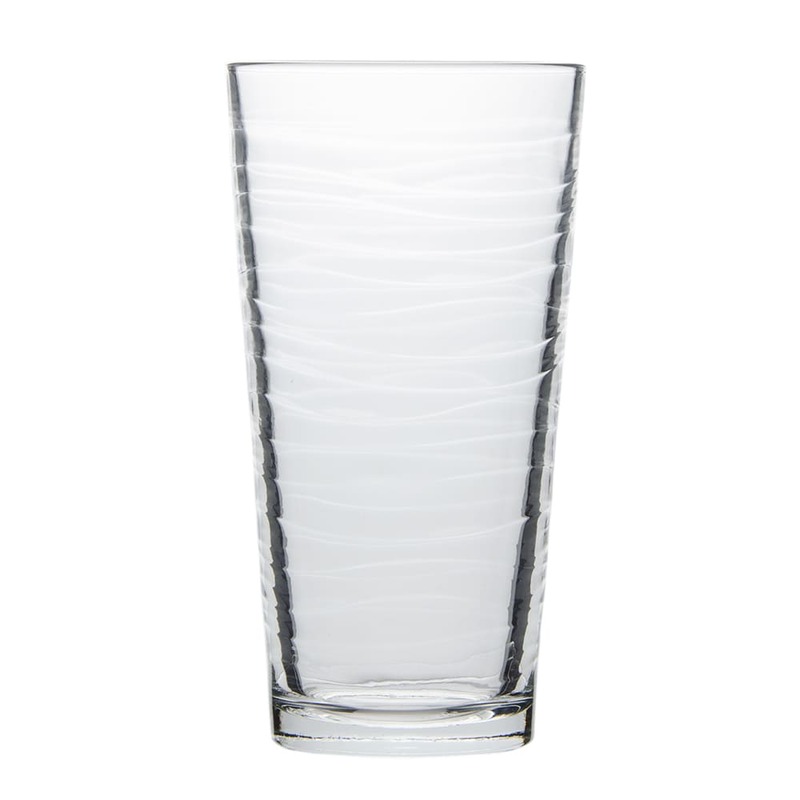 "Nice solid heavy glass and very simple but attractive. I was glad to be able to order them for my home." "We use them every day. Great feel,perfect size."